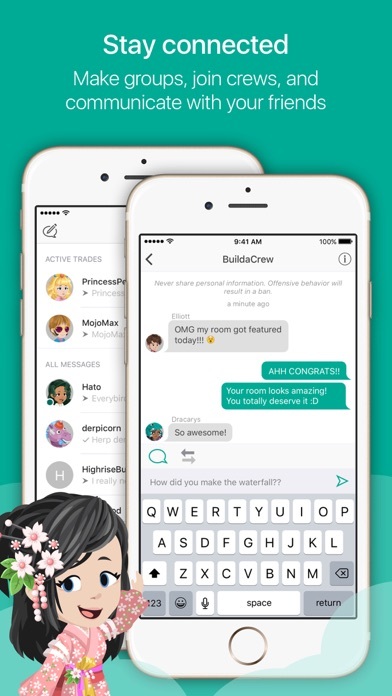 IOS App Developer: PocketzWorld Inc.
Highrise is way more than just a social network. 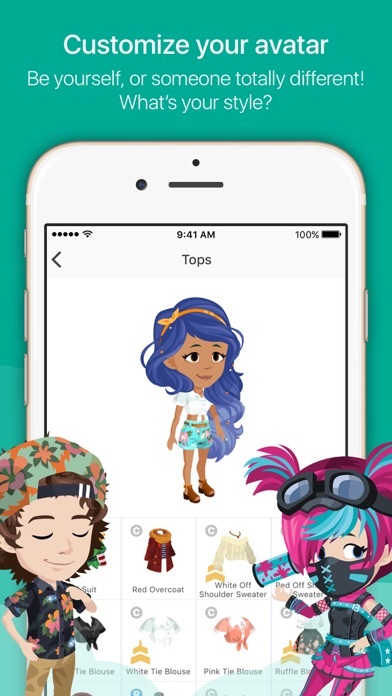 It's the easiest way to create your avatar identity, make new best friends, stay in the loop, and explore a magical virtual world - all on your phone. 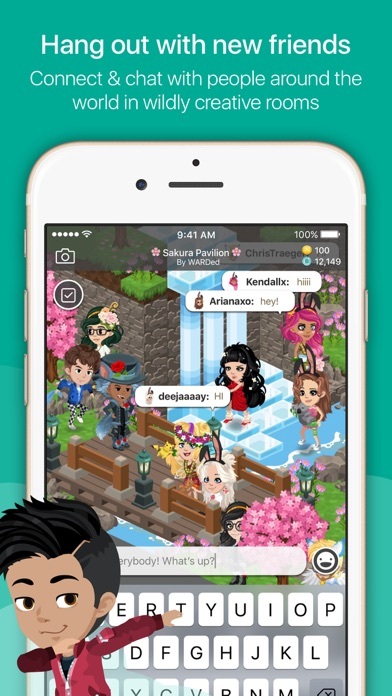 • Create an avatar with our avatar creator and pick from 1000s of outfits and items • Share your #mood and follow others in the Highrise News Feed • Choose who to chat with one-on-one and in groups • Meet new friends and characters with similar interests in the app store's largest sim game • Design an infinite number of rooms for play, chat or just plain fun • Enjoy weekly content updates with new art and events There's always room in Highrise. See you soon. :) P.S. Follow us on Instagram and Tumblr @highrise. I wouldn’t recommend it.... this has happened to me ever since I got this game, I always have people calling me names, like “b***h, w***e” “dumb a**” telling me I’m stupid and to get out of the rooms and if I ask what I have done people insult me and say “I don’t care just get the *f**k out!”they are very vulgar and mean as I just don’t feel comfortable with it. Not everyone are like that of course, there are a lot of friendly people and made a few nice friends but this app is not for me. I even had someone tell me to kill myself and I suffer from depression and anxiety and that got to me for a couple of days but I will be deleting this app. It won’t let me change my gender! I am a girl but it looks like a boy! How do I fix this? Highrise staff is terrible at their job and they ban the innocent and let the scammers stay. I don’t recommend wasting your time on this game. Ive been on the app for a while now and i just love the app. its hard to get gold but you dont have to buy gold. i’ve only spent $5 on the game and got all the other gold my self. The app is great I love it! 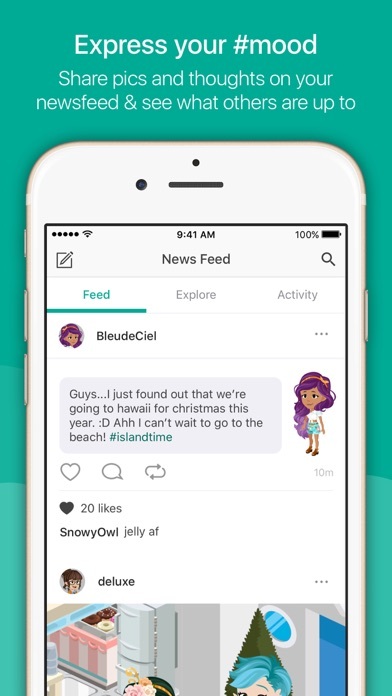 i like the social media aspect of this app, and the character customization. everyone is nice enough, and while this app is money hungry (i havent spent a penny and havent gotten any new items because of that fact) it is constantly having server issues. i havent been able to play a majority of the time because it just cant connect to the servers, and SOMETIMES it gives bubbles in return for the server issues, but bubbles are useless because you can only get new items with gold. you can transfer gold into bubbles, but not vice/versa, so here i am sat on thousands of bubbles and NO gold whatsoever because theres no way to earn it. fix this. fix all of it. the app would be amazing if you fixed it. More IOS Apps by PocketzWorld Inc.